No matter what kind of wedding you hope to have, by the time you make your way down the aisle, chances are that a whole lot of time, effort, and expense will have gone into make your big day as perfect as possible. However, many brides make the same mistake when it comes to the planning process: they leave the big purchases to the last minute. This is a simple slip up to make. It’s easy to get distracted by the smaller and more trivial features of the big day. After all, they’re fun and don’t entail all too much pressure. Most brides will spend hours looking through the petals that they want to be scattered by their flower girl, the draping that they want across guests’ chairs, the toppings for the canapes at the reception. This is all well and good. After all, the small touches really can make all the difference to the overall feel and success of the day. But you need to leave these relatively trivial decisions for later down the line when you’ve already settled the larger matters at hand. Don’t under any circumstances use them as a form of procrastination to hold off the more daunting decisions! 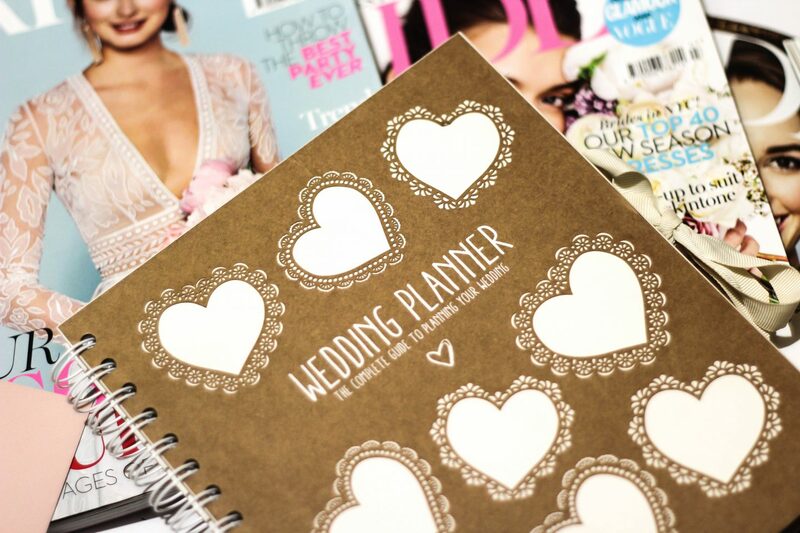 So, to make sure you get everything sorted out in the right order, here’s a list of some of the wedding purchases that you really do need to prioritise! Let’s start with the dress. This is something that many of us dream of growing up. We lay out all sorts of textile plans, from huge princess gowns with layers of tulle to slim and sleek sheath dresses that skim the figure and glide to the ground. However, when the time comes to actually pick the dress of our dreams out, we’re often overwhelmed and run for the hills. But the hard truth is that you’re going to have to find a dress for the big day sooner or later, so you might as well give yourself plenty of time. This means that if you find the perfect dress, but it needs some alterations and adjustments, you’ll have plenty of time to have them done. If you’re feeling completely lost, your best bet is to simply browse. This will give you a better idea of what’s out there and will allow you to start coming up with ideas and forming mental images of exactly what you want. Take a look at high-end boutiques such as Fairytale Brides. They will provide you with the best service from the moment you step through the door and will be able to make the process as comfortable and enjoyable as possible for you! You may be able to run to the store to buy birthday cakes or cakes for other celebrations last minute, but this isn’t a practice that can go for wedding cakes. Why? Well, they take a lot more time and effort to put together, and they will often require large quantities of specialist ingredients. So, book in with a wedding cake specialist well in advance of the date to let them know your requirements and preferences! There’s no point having everything arranged and ready to go if you don’t know where things are going to. Booking a wedding venue should be extremely high on your list of priorities and one of the first things that you get out of the way. Not only because you need time to decide where you want the event to be held, but because most of the best venues are in extremely high demand, so will have long waiting lists. You also need to have the venue booked early so that you can secure a definite wedding date and get your invitations out to the guests. The sooner you send the invitations, the more likely your guests will be able to secure time off work and away from other responsibilities. Last minute invites result in lower guest numbers, but you want as many of your loved ones as possible to attend! It’s always best to have a few different ideas for venues so that if one is unavailable, you have others to fall back on. Also, make sure to actually visit and view the venues. We are all aware that professional photography and editing can make things appear much better than they may actually be and this goes for venues too. So, book a viewing to be entirely sure that it meets up to your standards before placing any deposit or another form of payment. These are just three tasks that every bride to be will have to consider. But they really are worth taking a look at and securing sooner rather than later!